Will the Fairfax GOP yield to Surovell's advocacy of secular humanist ideology? Local politico reaches out to FCRC Chairman Jay McConville, Fairfax GOP. Is it true that Scott Surovell is being allowed to run for re-election this coming November, unopposed by the Republicans? I need not remind you (of all people) that this man is the most deeply committed liberal in the entire General Assembly. An ally to those who advocate the advancement of abortion and homosexuality. An ally to those who advocate the establishment of one, neo-secular State religion, to rule all religion. An ally to those who refuse to acknowledge the preeminence of God, and who thereby refuse to acknowledge the existence of our inalienable, self-evident, God-given rights. Virginia is teetering on the edge of a moral crisis. We are under attack on all fronts, by those intending to corrupt and forever alter the conscience, character, and destiny of our Commonwealth. We cannot simply stand by and do nothing, as these folks trample the fundamental rights of human beings, and make sport of all that is true and just. If there are no other takers, I urge you to consider the possibility of listing me as your nominee. The deadline is 7:00 P.M., June 11, 2013, and so the window is open, and will remain open for a few more days. Just because the Democrat incumbent has been declared the presumptive winner, six months in advance of the election, why should the rest of us be denied the opportunity to fulfill our civic duty, or denied the opportunity to vote in accordance with the dictates of conscience? The voters of House District 44 deserve a good, godly, moral choice. If we do not provide it, who else will? 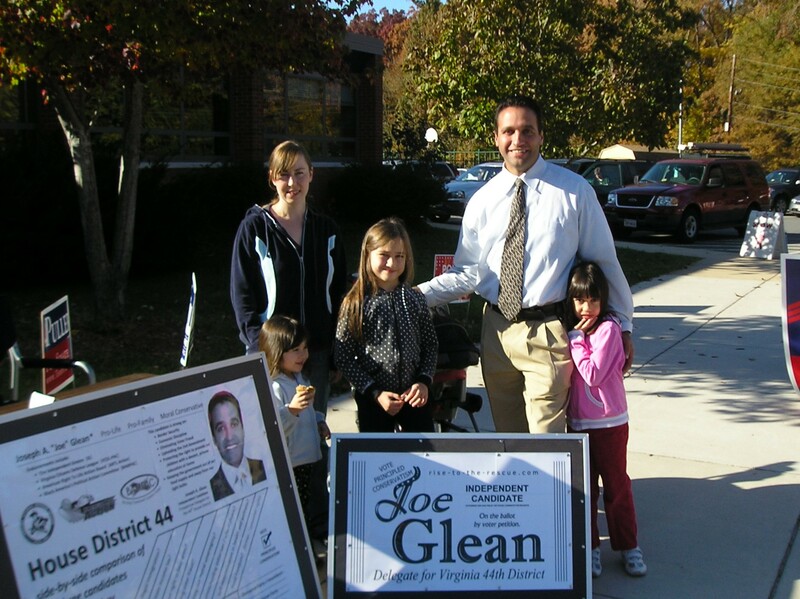 Former candidate (2011) for the Virginia House of Delegates, District 44. Contact Jay McConville, chairman of the FCRC executive committee. Then contact the chairman of your local magisterial district. [Contact data, listed below.] Voice your opposition to the advancement of abortion, gay marriage, gun control, and the State-imposed suppression/ abduction of our religious freedom. And insist that the Fairfax GOP run a candidate in Virginias 44th house district who will boldly challenge the Democrat incumbent [Scott Surovell] on each of these points. The last thing Mount Vernon needs is the 11th hour insertion of some half-hearted, party protégé. What we need, instead, is for the Republicans to run a strong, principled conservative, who understands and advocates Americas founding principles, and who is not ashamed to acknowledge God, the author, creator, perfector of all that is good, decent, and wholesome. Time is running short, but the task is remarkably easy. All the Republicans have to do is submit the name of a nominee to the Virginia State Board of Elections by 7:00 P.M., June 11, 2013. Surely there is someone here in the Mount Vernon area, ready and willing to confront this Democrat, head on.